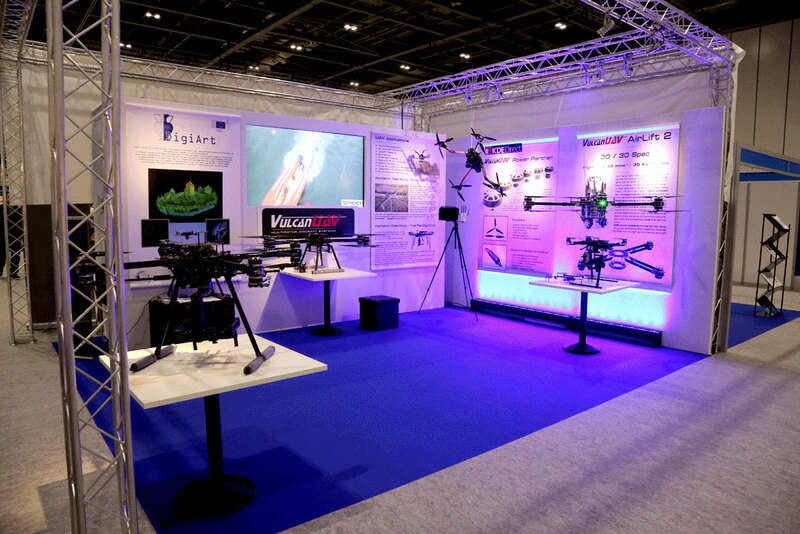 Vulcan UAV exhibit at the Commercial UAV Show, Excel Centre London October 2015. Once again the Vulcan stand was one of the busiest at the show! On display the Raven with the Gremsy H16 gimbal, the Black Widow V2, and the new AirLift 2 ’30 / 30′ spec, designed to carry a 30 Kg payload for up to 30 mins. Also on display was the LDH8 fitted with the RouteScene LidarPod. Great show and thanks to all who came to visit us.